Its not my fault they were around 14,000 years ago. Sarah from McCleary Chronicles brings us the backup pipe dream of a shipping canal that would've passed through McCleary. The problem with the Puget Sound to Grays Harbor/Columbia River canals was always a lack of water and a lack of a good reason. Railroads and then highways sufficed. The quantity of water required at the summit would probably be nto less than 300 cubic feet per second, if the canal were used at all, and the problem of finding that quantity of water during the dry season would be a rather serious one. There is no stream of sufficient capacity in the neighborhood and a feeder would have to be brought many miles. While the percipitation in tehis section of the country is large, there is annually a dry season of two or three months, during which the streams become very low, and ample provision for water, either by storage or by a long feeder, would be required. 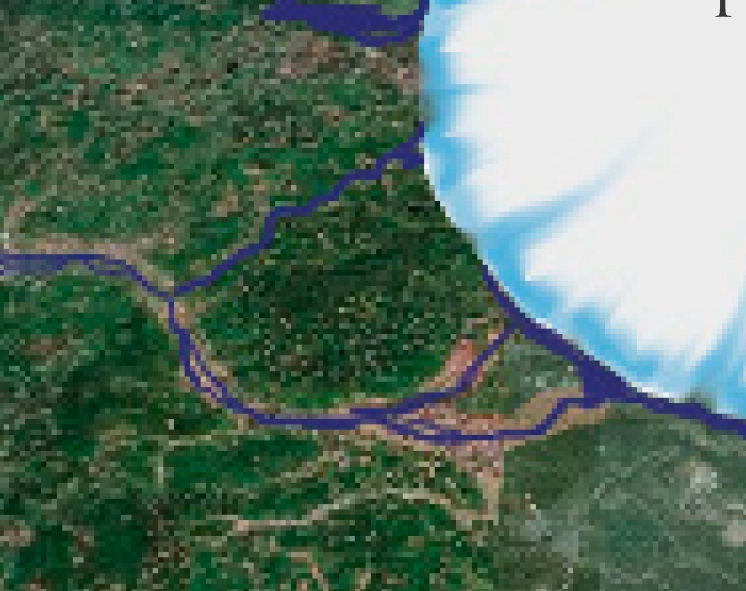 But, if you add one ice age with spillway rivers flowing through the Black River, Chehalis and Moxlie Creek basins, you suddenly have three entire waterways connecting Puget Sound (now as a glacial lake) with the Pacific Ocean. And, McCleary sitting almost dead center as a axis of trade. In this case, sight sears to the big glacier. We could have sold flavored glacier ices to the tourists.